This article is my attempt to give useful, current and relevant information on how to become a witch. I have tried my best to explain the process in an almost easy to follow layout. Becoming a witch takes time, effort and dedication. You don’t necessarily have to be a Wicca, pagan, or witch to practice witchcraft. Wicca is a religion so be ready to really explore the religious aspects of it. I will not be talking about covens or groups very much. This is because I feel that a personal practice such as Wicca or witchcraft needs to be explored by the one before it should be taught by the collective. This means that your should explore the aspects of becoming a witch on your own at first. You have to make your decisions, and decide your path. Leave a comment or ask a question in the section below the post. , and when and how spells work. You should read as much as you can about the basics and true meaning of witchcraft. This is how you can begin to decide what witchcraft means to you life. You should know what and understand the true meaning of magick and spells to witchcraft. Most religions like Wicca and Paganism are nature base religions. Because of this you should try not to become one with nature completely but how to appreciate its wonders and beauties. Once you learn the basics of Wicca and witchcraft you will need to under go a process of understanding why. You must now start writing your book of shadows. Why does this fit your belief systems, does this feel like it should be a part of your life? What does magick mean to you? You can start understanding yourself and you reasons by keeping your evolving thoughts written down in a journal. Write down everything about what you feel about life, what you feel about the universe and what you feel about magick, witchcraft and you journey. What about your life could be better? What about you life will be changed from the craft? What does duality and deity mean to you? Write as much as you can and explore as much are you can. You don’t have to put this journal on display it it yours to expand on as you grow. really is, and defined what it means to you in your life you are in a position to start exploring magic. You now understand the importance of slowly embarking on your pagan journey. You are in a place where you can safely do magick. I would suggest starting small and being diligent. Don’t ever follow the rules perfectly and always add some of your own essence to your spell work. Learn what works well in your spell work by expanding on the basics. It is more than just, rosemary and red candles for love spells. It should be about what deserves a ritual and what is something within your immediate calling. By exploring the basics like the colors, the phases of the moon, the herbs and their meaning you can manifest some amazing things into your life. You have defined your path. You have a grasp of what magick is and what it means. You have done some magick and gotten results. (Wiccan Spells for Beginners) If you have gotten results you should be analyzing what could have been the reason something didn’t work. This is why your spell journal and book of shadows are so important. They give you opportunity to go back and really look at what works and works well in magick. Learn to really become intentional in your spell work. Learn to focus your mind and shape your thoughts. Learn to clear your mind and really envision your goal. This is how you can become intentional and focus your magick. You have decided to learn about magick. You have decided to really give magick a proper place in your life. Now you are essentially a witch. Magick should be use in your life often. You should know by now the amazing things that can come with the use of magick. You can use magick as much or as little as you want. Most wiccans, witches and pagans use magick daily. Magick is such a wonderful gift. What kind of magick can you create in your daily life. As you explore magick you are also exploring you mind and thoughts. You have been on your pagan path for a while now. You have defined what magick means to you. You have essentially already became a witch. Are you able to let the world know that your are proudly pagan? In a perfect world we all would be able to explore our paths with pride, understanding and dignity throughout. Are you ready for the implications of telling the world you are pagan? That you are a witch? What will your friends think? Family? Lovers? Be ready and willing to accept these implications before letting everyone know. You can take your time with this. There is no one here to judge you on this. Coming out as a witch takes some real energy. Only when you are ready. You should also be smart and mature. If you are a minor then consider coming out when you are an adult. You may already know some pagans online or off. You may have a few friends, subscribe to a few podcast expand on this and communicate with others on the path. Start a blog (and link back to me:) ). and look participate in online communities. By sharing your knowledge you can gain more. 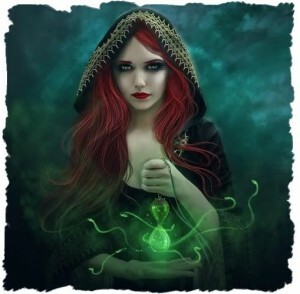 Take a look at these Wiccan Message Boards as possible communities to join or start your own. Go out and meet local pagans and just have fun within the community. We have such a gift we should be pleasant and encourage one another and our growth. You are really a true pagan. You know what magick means, where it comes from and how to use and obtain it. You can do magick with the required intention. You have accepted yourself as a witch and know where you fit within the pagan community. You can clear and focus your mind and know the moral and ethical codes of magick. You have learned to understand magick from the ground up. You are really on your path. You are on you pagan path. Continue to grow and define your world as you see it. Learn to work with and become one with the universe. You are on your way, you have been on your way, and you can now look at your past with pride and honor. This is a article on how to be a witch. I know a lot of you may be interested in magick and witchcraft and really need guidance and a place to start. This article will cover some of the most frequently asked questions and give you some other information and resources for you continual growth in the craft. If you want a good book on wicca then this bookis a great choice. So many people have asked me this question. How to be a witch? What makes a witch? Maybe you have come here with some false assumptions on witchcraft. Maybe to you it is an array of tricks, a way to be dark and moody, a way to make your parents mad, or a way to get a boy to kiss you. Hopefully you are interested in the craft, and whether you consider yourself pagan, wiccan or a solitary witch who practices witchcraft and hopefully this will give you some accurate and understandable information on it all. Witchcraft is not evil and really should be taken seriously. This is a religion just like any other it takes some research, knowledge and study. It should be taken seriously and not as a preteen joke. Before embarking on your pagan journey it is important to be well versed in the craft. Not an expert, but at least have a general understanding of the basics of Wicca, and a healthy respect for your mind, body, soul, the universe, and the power you posses in it. It is important to be mentally, physically and emotionally healthy and as all of these things have an important role to play in your witchcraft success. You can teach yourself how to be a witch (solitary witch) or learn with a coven or a group of people. Any way is fine. A lot of us are not luck enough to have people in our lives showing us the craft of old, so we do the best we can and learn the best we can by finding pagan communities online and off. ?The best way to teach yourself how to be a witch is to read as much information you can. Use the search on the website to find just about anything you can imagine on the subject of witchcraft. ?Ask others questions about witchcraft. Wondering how to be a witch? Reach out to other witches and ask them for some information if you ever get stuck or need additional guidance. ?Practice the craft. Information is wonderful but actually doing magick and spell work is the best way to become a witch. You need to write spells, study nature, learn about the esbats, and sabbats but you can’t be a witch without doing magick. ?Learn and grow in the craft. This journey is a wonderful experience that really can enlighten you and make you a better, stronger person than who you are now. Have fun and enjoy the wonderful things the earth has to offer you. Sometimes my spells work and sometimes they don’t work at all. I am really shocked at how often this seems to pop up in conversation (follow me on twitter @BallisticJW), this question has been answered millions of times but people still ask me about this almost daily. You would never go to your first piano lesson or ballet lesson and expect it all to be done perfectly and achieve perfect results instantly. You would expect to practice and learn the techniques to make your performance better. Magick is no different in this sense. You will have a spell turn out perfectly and you will have a spell that does not turn out perfectly. You should always keep a spell journal so you might be able to troubleshoot your witchcraft spells. Practice makes perfect in all things including your journey to know how to be a witch. I think negative spirits are trying to contact me or become my spirit guide. Just like in the physical world, you are never under any obligation to converse or entertain spirits who give you negative vibes, feelings or emotions. The universe will not force a negative guide on you. You don’t have a obligation or duty to communicate with negative spirits. Some people assume they are mediums, or it is their job to help this negative spirit, absolutely untrue. You don’t have to be in service to anyone. You are not put on this earth to be torture by some evil entity or negative force. There is no reason for you to put up with negative energies whether from a physical person or a spiritual energy. If you are having a problem with negative spirits then consider this “Like attract Like” the types of people you attract is similar to the types of spirits you will attract. They are attracted to you for a reason, bringing more positivity, happiness, peace, and joy will help you attract friends and spirits of the like. Learning how to be a witch requires such a strong mind, it will bring you much joy if you are content within yourself. If you are attracting negative energies then work on your own spiritual hygiene, aura cleansings and purification will help. What kind of Witch should I be? Leave me a comment and tell others how to be a witch.